Tonight’s challenge is “transmogrify”. Killing two birds with one stone, I both learned a new word and honed my blogging skills. I love that Friday challenge. 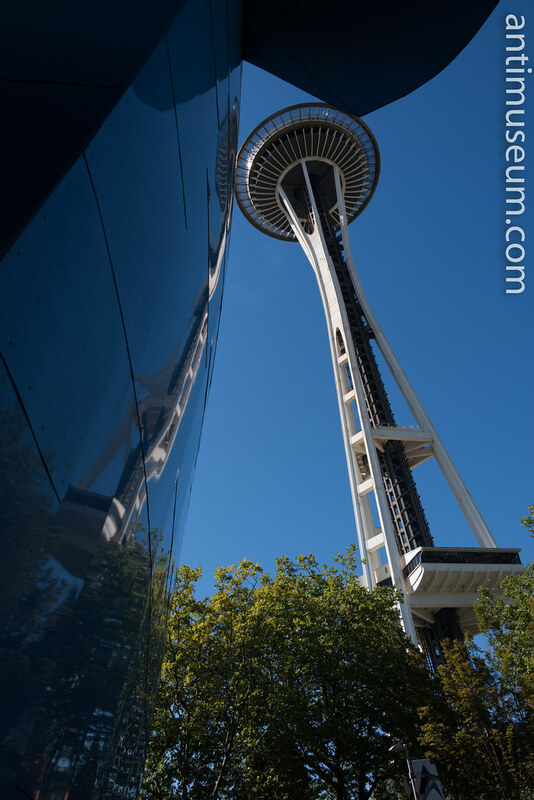 I had plenty of funny pictures to choose from but I selected these few from Seattle’s landmark the 1962 Space Needle. It’s as ubiquitous as Alexander Platz’s Fernsehturm in Berlin. As it is reflected in the buildings it starts taking funny shapes and it’s then “transmogrified”. 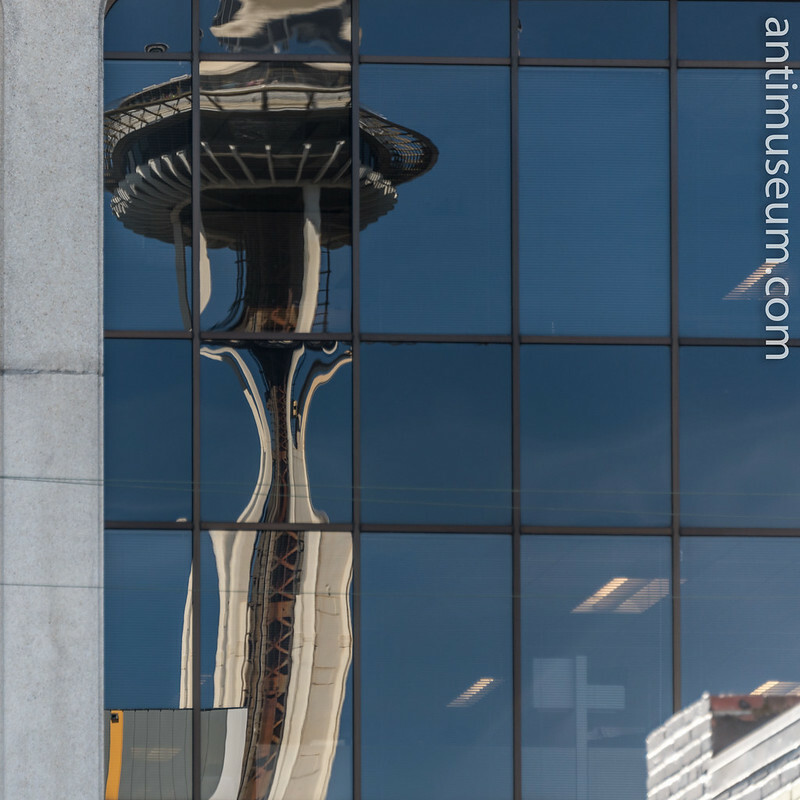 Here too in the façade of Paul Allen’s Frank Gerry EMP museum building. 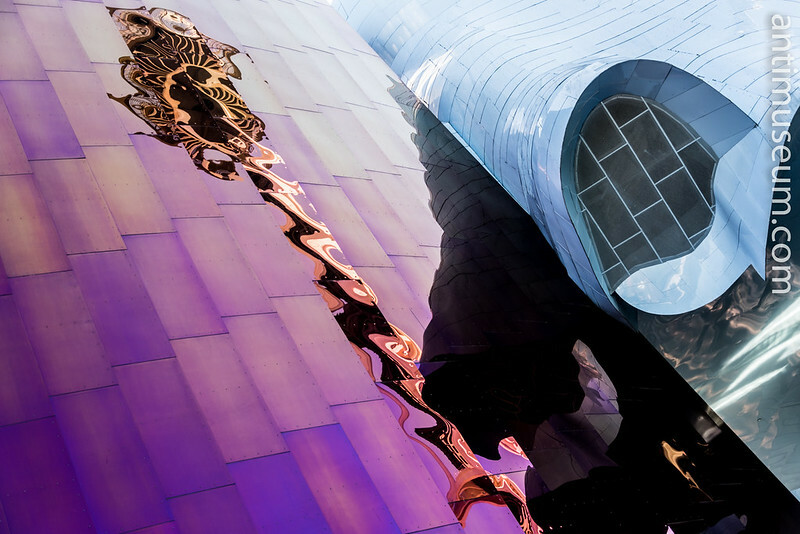 Another angle from the bottom of the EMP building again. Seen from below under the glass canopy whilst queueing up for the lifts. As the needle is transmogrified, one is reminded of its appearance in the 1974 Ian Pakula film “The Parallax View” with Warren Beatty. A parallax view is really what we tried to bring here in this post and I hope it was conveyed properly. Beautiful discoveries. Really nice ways of looking at a much-photographed object. Wonderful, wonderful work! I love the third one — it suggests to me a slightly drunken Space Needle, which is leaning on its buddy to avoid falling down. And that last image is one of the most unique I’ve ever seen of this monument! 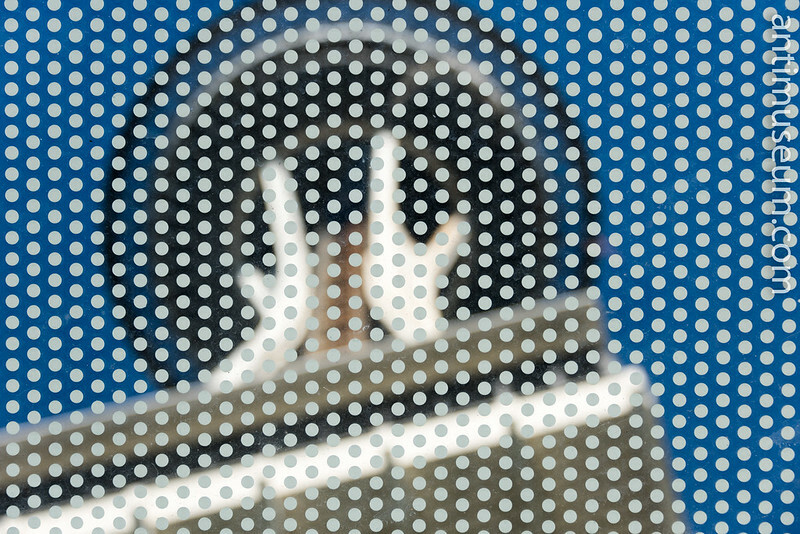 A very fitting pop-art graphic treatment for this 1962 landmark. Wow. Very kind of you Heather. Thank you. To us the Space Needle was new, we were seeing it with new eyes maybe. Kind regards.